Caliber change weapons seem very slick on paper. And in the right hands, they really offer some interesting options to the conscientious end user. But THAT’s the key. One of the reasons why the military and many law enforcement agencies don’t like to mess with caliber conversions is…it’s just one more damn thing that can and will go wrong. But I love them anyway. Well…I love the Blasers. I get this question semi-frequently from new Blaser users, “Do I have all the correct parts for X caliber?” The good news is Blaser Germany has thought about that and actually made it quite easy to check. 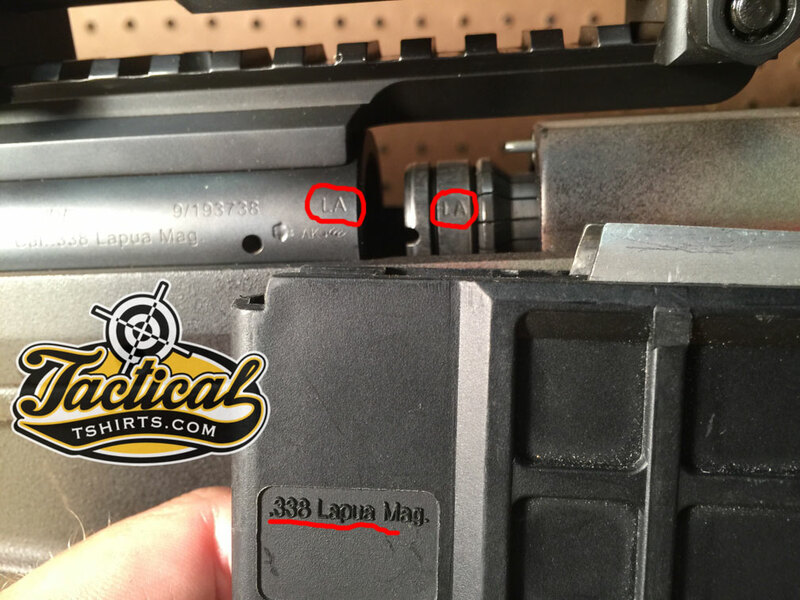 On the Tactical 2 / LRS series of rifles, they mark all the necessary parts on the left side. Barrel, Bolt Head, Magazine. Highlighted Areas Denote Important Information. And the neat thing is they put all the marks very close together to ensure the end user can check ALL the components in one field of view. The barrel has the case-head ID’ed. The Bolt Head denotes the case-head. And the magazines always note the calibers they work for. In this example, I have highlighted the 3 markings. LA for Lapua on the Barrel. LA for Lapua on the bolt head and 338 Lapua on the magazine. In this case, the Tactical 2 is capable of shooting 4 calibers in 4 different case-head sizes. MI = mini (223). ST = Standard (308). MA = Magnum (300WM). LA = Lapua (338 Lapua). 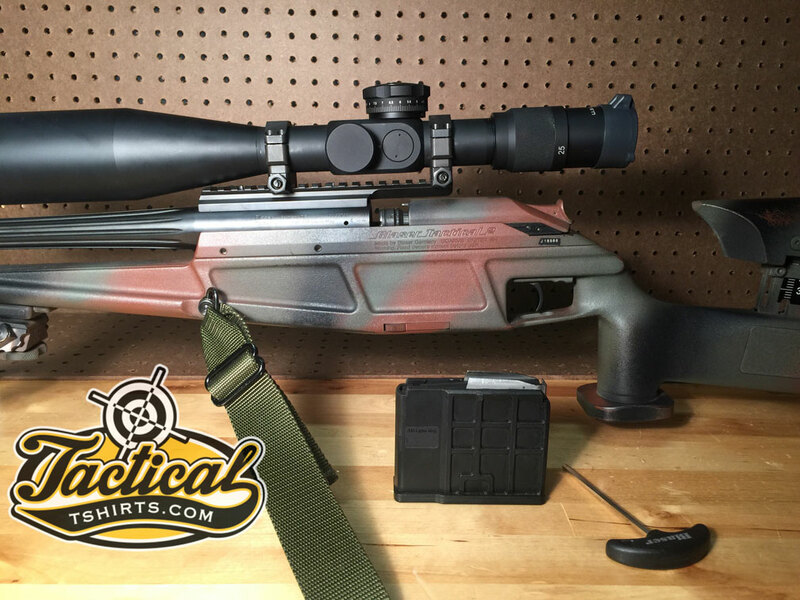 Blaser Tactical 2 with 338 Lapua installed. Just make sure everything is match/match/match.